Parkhurst Dining is responsible for providing the food service at Alcoa’s corporate campus in New Kensington, PA. 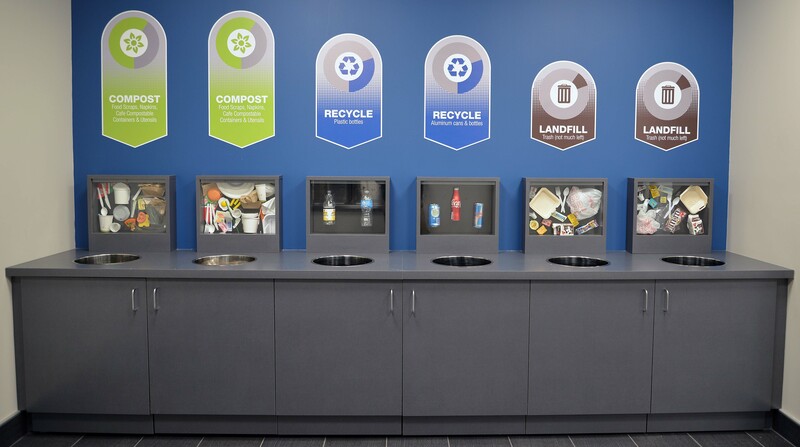 The café that we operate was recently renovated and now has a new recycling and waste collection program. Parkhurst has assisted over 20 locations with implementing composting programs so naturally we were eager to assist with the conversion and education of the process at Alcoa. Although every step is important, we found that having team members available to educate employees was key. With the help of a devoted team member and Parkhurst’s support, the program is thriving and continues to build awareness on the importance of proper recycling and composting. We continue to learn and work with all our locations so we can strengthen our practices on properly executing food waste collection. We wouldn’t be as successful if we didn’t have the support of our clients like Alcoa. Our shared passion for environmental awareness makes initiatives like this one a reality. It was truly a pleasure working with Alcoa and being involved in such a successful roll out.